Photography: Keka Álvarez. Make Up: Conchi Gónzalez. The spanish band of Hellektro and Terror EBM from year 2006 are back for a full sonic pain. 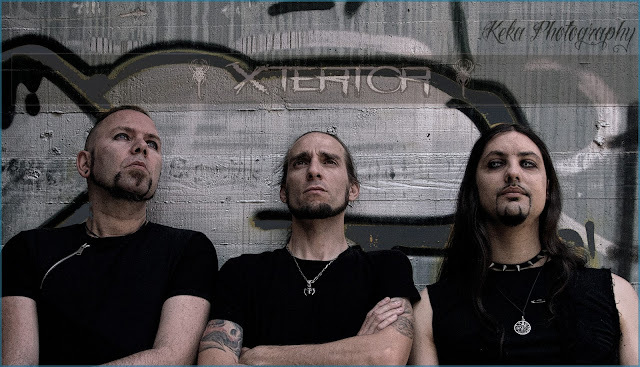 In its relentless hate and evil prowess, the next album "Reborn“ once again proves the exceptional agressive sound of this band. "Reborn" is a hell, hate and evil captured on disc. 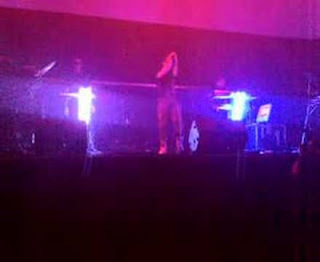 Even after than one decade of silence, the aggressive sound that Azrhael F., Dherek S and David X a.k.a. 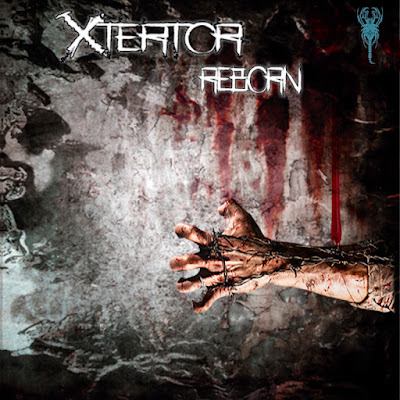 Xtertor produce does not feel in any way abandoned, without strong or without innovation... quite the contrary: the three spanish unleash a force of beats, shouts, atmospheric sound landscapes, brutal psychophony and aggressive dancefloor sounds. Xtertor = Pure Industrial Evil! An exclusive and special edition (only 150 copies). Vinyl CD simulating a Vinyl disc. Plus 50 copies with a Bonus Limited CD. 13 + 2 bonus tracks of full and powered evil and hate on this Xtertor come back disc. Bonus Ltd CD with 6 exclusive tracks. 05 August 2016. We are in Patreon. Working in Special Ed. Vinyl CD and Ltd. Ed. Bonus CD. © ChromaThink® 2016. Con la tecnología de Blogger.